There is something special about animals. They can sense things humans can not. 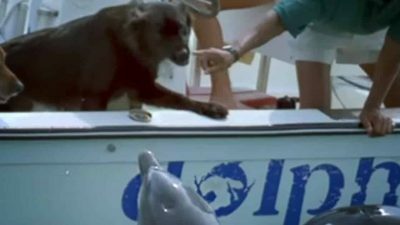 This special moment between two dogs on a boat and a dolphin are the perfect example. Animals are capable of complex feelings and emotions. There are times animals from friendships between species, and it is inspiring. Dolphins and dogs couldn’t be more different. Besides both being mammals, they have little in common. In a way though, dolphins are the dogs of the sea. They are playful and sociable. Both are curious. So what happens when these two animals meet? The Dolphin Experience is a company that allows people to interact with dolphins on a boat. The boat owners brought their dogs with them one day. The dogs loved to be on the boat. It wasn’t long until the dolphin watchers found what they were looking for. Dolphins. The dogs were very excited. They were jumping and barking. The boat sped up to match the two dolphins. 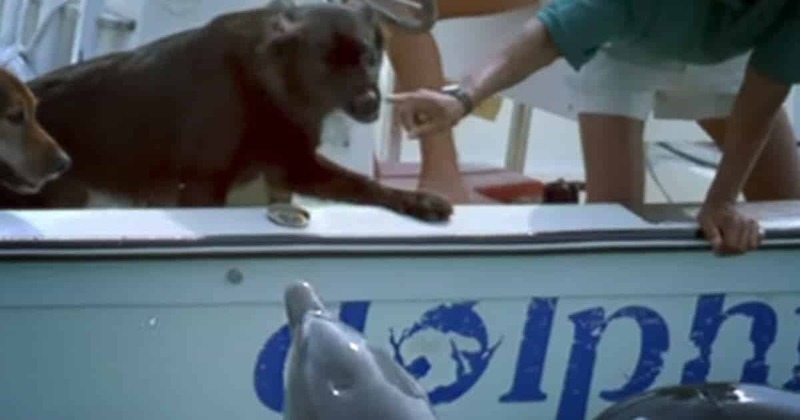 One dog stuck their face over the boat and greeted the dolphins. One of the dolphins looked back and gave the dog a kiss!